The Kennedy Catholic sophomore is the son of former Husky QB Damon Huard. PULLMAN, Wash. — What was a forgone conclusion became reality just hours before the 111th Apple Cup: The Huard legacy will continue at Washington. 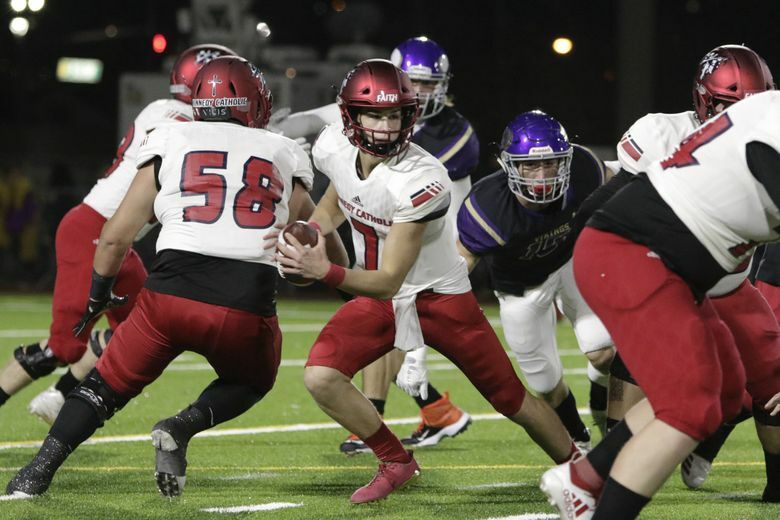 Kennedy Catholic sophomore quarterback Sam Huard, the top-ranked pocket passer in the 2021 recruiting class, announced his commitment to the Huskies on Friday. Huard, of course, is the son of former Washington QB Damon Huard, UW’s director of community relations and the Huskies’ radio analyst. And like his uncle, Brock, Sam Huard is a left-handed thrower. “He’s so excited, and why wait,” Damon Huard said before the Apple Cup on Friday afternoon. UW coach Chris Petersen made a formal scholarship offer to the young Huard earlier this month. Huard, 6-feet-2 and 175 pounds, has thrown for 7,597 yards and 76 touchdowns combined in his freshman and sophomore seasons for Kennedy Catholic. Nevada was the first to offer Sam Huard a scholarship, shortly after his freshman season. Washington State soon followed. California, Florida, Tennessee, Texas Tech and Boise State all offered this year, too. Then came the offer from the Huskies. The growing trend in major-college football is to get the quarterback in the fold early and then build the rest of the recruiting class around him. Adam Jude: 206-464-2364 or ajude@seattletimes.com; on Twitter: @A_Jude. Adam Jude covers the Seattle Seahawks for The Seattle Times.